- Copy of Boy's Own Booklet. 32 pages, with tips on stamps, photography and more. - School Essay. Insight into a Child view during Wartime Britain. - Misc Images. Collecting Cards and artwork. - Ration Book and Food Recipe Manual. Great for School Projects, Birthday's, Anniversaries or a Nostalgic look back at Wartime Britain. Part of our Range of over 20 themed Memorabilia Packs. 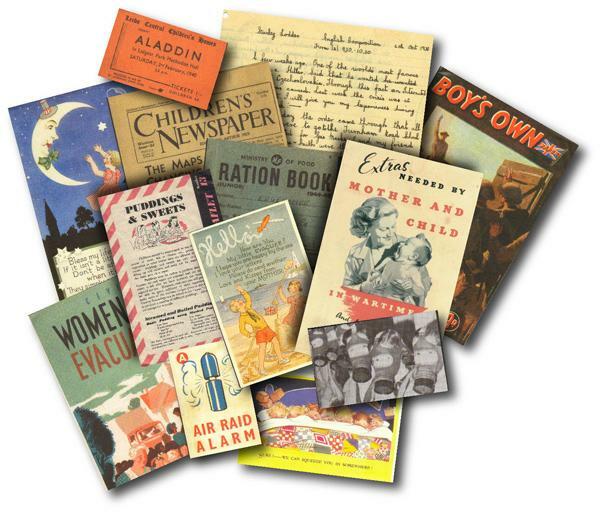 Range also includes Victorian , WWI, WWII, 1950's, 1960's and 1970's packs. A great way to transport yourself back to key periods during the 20th century. Used extensively for dementia therapy and for school projects. 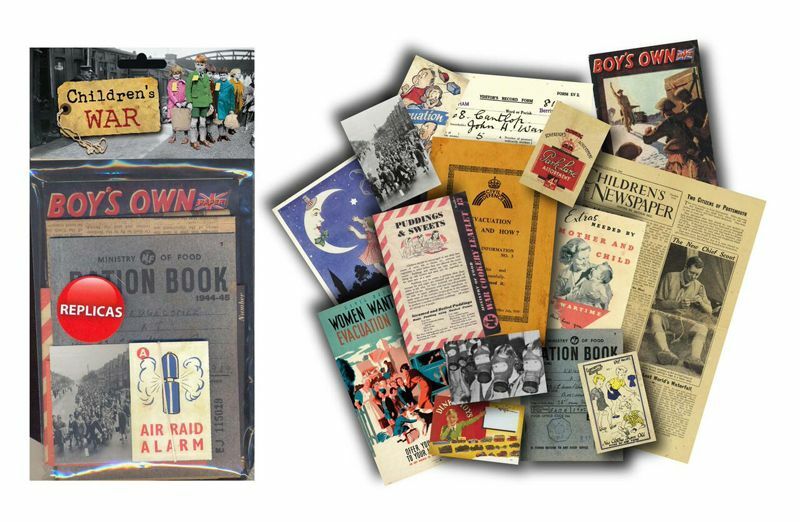 Great value item with over 20 pieces or reprinted artwork giving the reader a flavour of the time period.